Speed, efficiency, and accuracy are the most essential elements leading to a reliable procurement system. Although CPOs and employees may take precautions while handling the company’s procurement and purchasing ability, problems ranging from human errors to organizational shortcomings may hinder the proper functioning of the system. It is common to hear about procurement challenges in the corporate world and CPOs are always on the quest to overcome them for the best business results. While the latter has the responsibility to start by tackling the root of the problems, employees also have a role to play to optimize the procurement system. A 2014 study by Xchanging (the third largest procurement outsourcing provider in the world) conducted amongst CPOs across Europe, revealed that reducing spend with third-party suppliers, driving down the cost of procurement, managing supply led risk and harnessing true innovation from the supply base remain the most significant business objectives that the CPO must address. However, meeting these objectives is usually the most challenging task. The CPO has to ensure that they are developing a leading procurement capability and at the same time enhance the goodwill of the company through best quality goods and services. It comes as no surprise that cost reduction is number one on the list. Organizations have been preoccupied with cutting costs and maximizing profits. According to Caps research, for every one dollar you spend on supply management gives you an estimated return of $6.77. This leads us to understand that when you take the time to identify, research, acquire and manage the products and services your company relies on, you are more apt to reduce expenses considerably. However, all procurement professionals would agree that this is more easily said than done. In the 2016 Deloitte global CPO survey, 74% of the respondent said that cost reduction is their top priority. Procurement is certainly being dominated by aggressive technological changes and adapting to these innovations continues to be a challenge. The current challenge of CPOs is the lack of a digital strategy. The Deloitte CPO survey revealed that four out of six already have one strategy and are starting to embrace the digital revolution. Unfortunately, the rest are missing out on growing demand for more flexible, cost-effective and responsive purchasing. Deloitte highlights how one of its client’s cut work-in-progress analysis case reporting from 15 to four minutes by moving to an automated system. 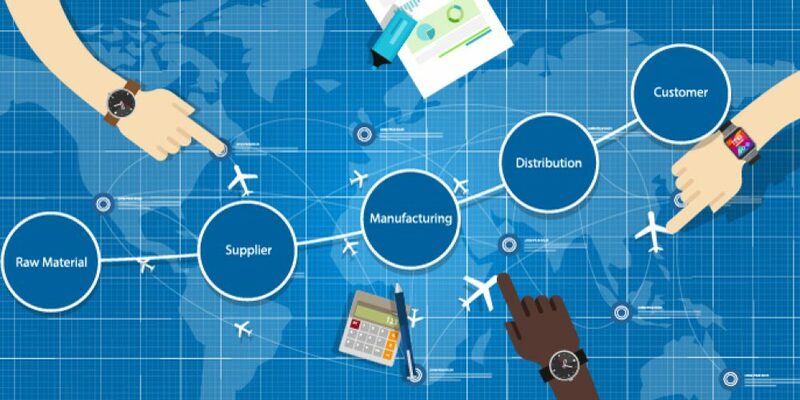 The Deloitte study highlights that CPOs are facing the impacts of weak supplier relationships. 29% of procurement chiefs in the Deloitte study are planning to invest in supplier relationship management over the next twelve months. Large corporations have understood that supplier management is the key factor for an effective procurement organization that is properly optimized and accountable. It is no longer about minimizing the cost of separate transactions but about maximizing the value of supplier engagement. Leading procurement executives are increasingly recognizing that developing partnerships with main suppliers can indeed deliver substantial benefits to both the buyer and supplier. Based on the Deloitte study, 62% of CPOs do not think their team has the necessary skills needed to develop their procurement strategy. This indicates that bridging the skill gaps is a major challenge for CPOs. These findings are mainly related to the need for digital strategies and better supplier relationships, both of which can help procurement functions overcome a lack of in-house skills. Training and development remain one of the key factors that lead to a successful business. It is the foremost solution to face all the procurement challenges. The emergence of innovative training solutions is increasingly being adopted by leading procurement organizations. For instance: Application-based e-learning solutions combined with simulations where employees can apply what they are learning in their jobs. Such training solutions help to bridge skill gaps. Besides, if you opt for a customized training program, employees will receive training where they lack skills and therefore allow them to become more competent in their daily jobs. As a form of effective communication, training can lead to an increase in productivity and allow employees to make the best decisions for the company’s progress. According to a research by PWC, there is a positive correlation between the presence of SRM with the following positive outcomes: an increase in market share, responsiveness to market changes, increased return on investment and shortening order fulfillment leads times. However, the same research mentions that while the benefits of SRM are acknowledged, the average SRM maturity level is still low. This explains the emergence of corporate training to ensure a proficient supplier relationship management. With an effective training and development program, this area can gain traction and perform better in favor of an organization. A procurement professional needs to walk on a fine line as far negotiation is concerned. The struggle is between making the best deal for the company and at the same time makes sure that a good relationship is established with the suppliers. A good way to sharpen your negotiation skills is through advanced simulations and training. This will allow employees to use the best strategies for negotiations, leading to best deals for the company. A successful procurement system aims to optimize the whole process to create significant business value. Facing the challenges with considerable solutions is the only way to improve the procurement processes of any organization. Training and development programs can contribute to the development of the skills needed for its proper functioning. Ultimately, this leads to a substantial improvement of the bottom-line of your organization.